A lot has been talked recently focusing on the value of media kits for blog owners in this digital world. 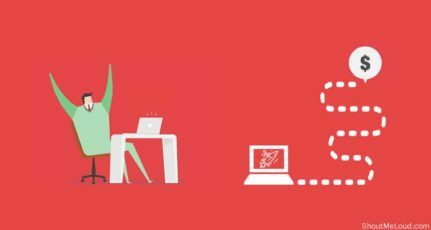 If you do not have the slightest of the ideas about what a media kit is or how to create an effective media kit, we’ve got you covered. 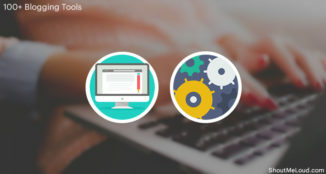 You can read everything about Media kits, and how to make one here at ShoutMeLoud. Now that you have skimmed through the above article, you get the nitty-gritty of making media kits for your advertisers/sponsors. But how do you make sure that it is your best foot forward? 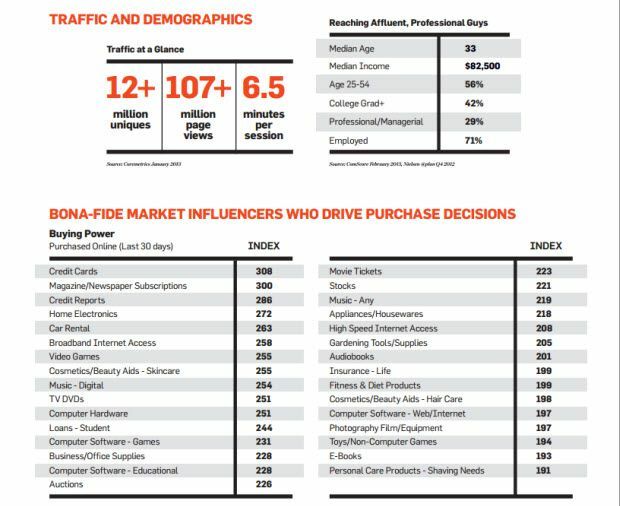 How do you know if you have the media kit that advertisers love to see? An eye on the competition is definitely a benefit for your business. “A wise man can learn more from his enemies than a fool from his friends.” – Niki Lauda, Rush(2013). You can sure do have a peek into the media kits of the people with a successful partnering with advertisers/sponsors. You can get inspired by these real-life media kit examples and find an idea for building your media kit. So, let’s get started. Here are the best 10 real-life media kits for your inspiration in making yourself a media kit. 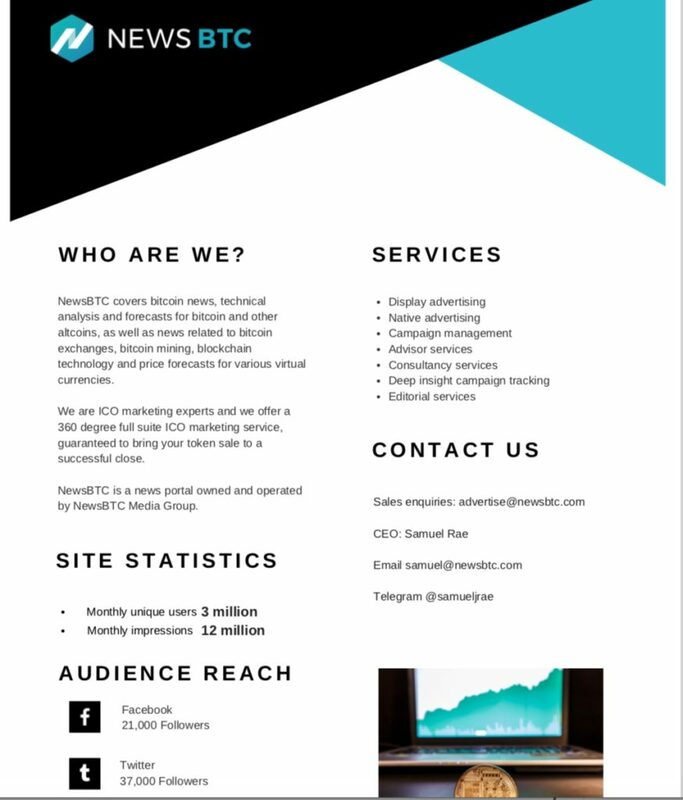 NewsBTC is a popular Bitcoin website and this is there recent Media kit (June 2018). I really like the way they have made it easier to see advertising options and pricing. In this media kit, you will also get an idea of different advertising option that you can integrate on your blog. You can have a look into the GoodReads advertising page Here. On providing your contact details, GoodReads will mail you a copy of their media kit. 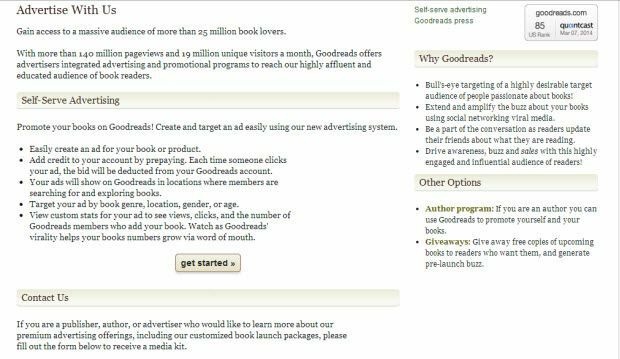 Here’s an outdated, but informative media kit of GoodReads. GoodReads managed to clearly articulate the advertiser opportunities with their media kit. If you haven’t ever come across an extensive media kit, this will the longest media kit you’ll ever see. 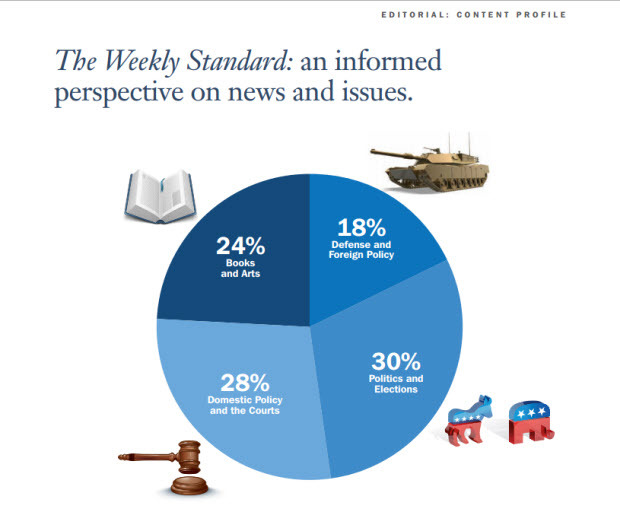 The media kit of Weekly Standard is an extensive 21 pages long! There are many pages of editors and a 3-page testimonials at the end. You can view the Weekly Standard’s media kit Here. 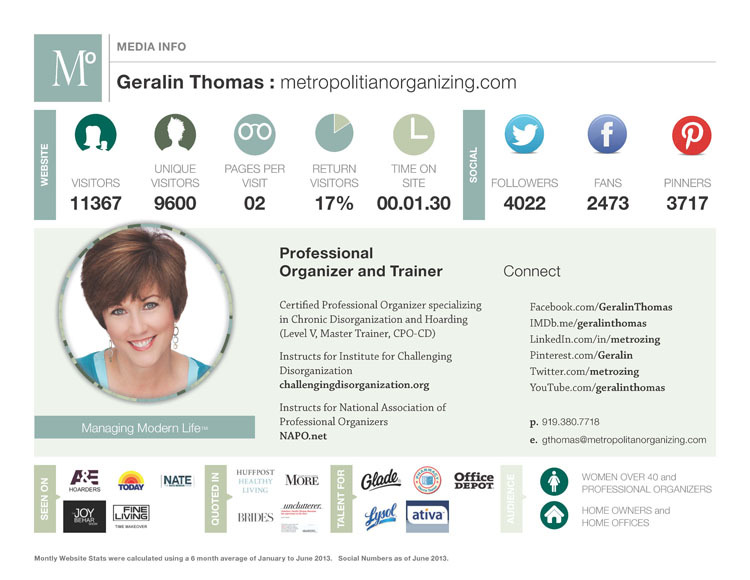 Geralin Thomas of Metropolitan Organizing has created a beautiful JPEG which acts as the media kit of the blog. 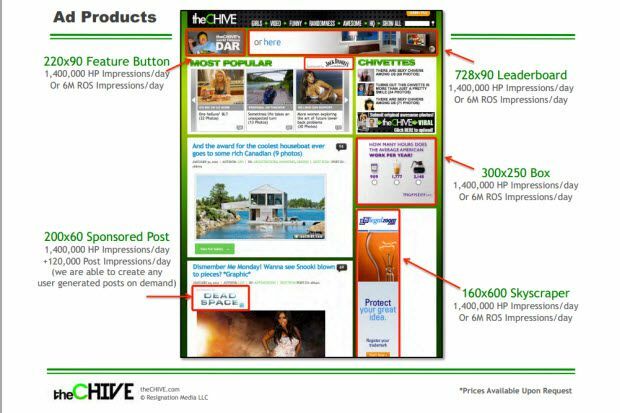 The format of her media kit is similar to an infographic about the blog, presenting the stats in an attractive manner. 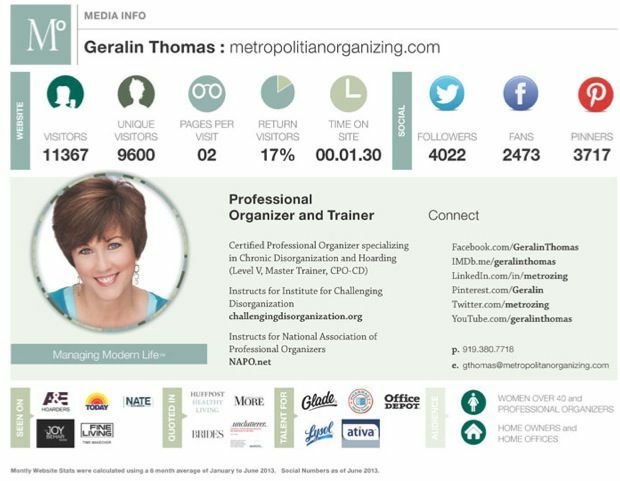 You can view the media kit of Metropolitan Organizing Here. Popular Science featured one of the beautiful media kit around. 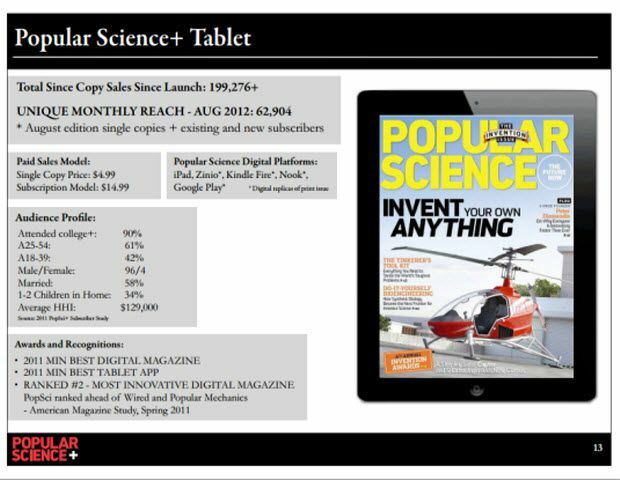 Popular science’s media kit is like the spec sheet for their blog. This media kit gives its advertisers a clear idea of its audience and their interaction expectations. You can view their entire media kit Here. 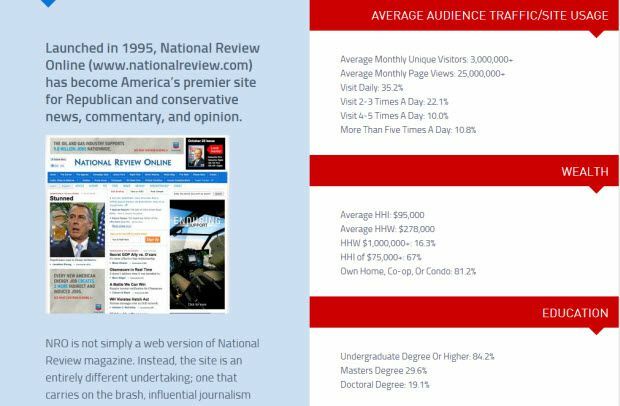 Although the media kit of National Review isn’t quite beautiful, but it is efficiently placed for a better display of their stats. National Review opted for their media kit to be placed on a sub-domain for convenience purposes. 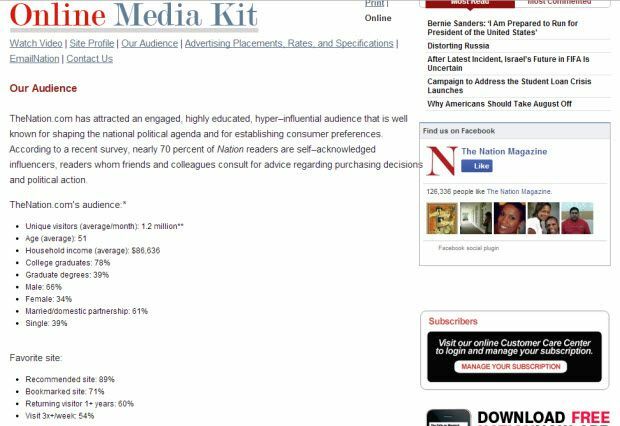 The media kit reveals interesting stats about their readership base for advertisers to ponder upon. You can view the media kit of National Review Here. The media kit page of Fast Company tells everything that their advertisers want to know. They have both print publication and Web trend details. Their numbers and their way of presentation is enough to grab advertisers towards them. You can view the entire media kit of Fast Company Here. This is a minimal, web-based (HTML) and non-PDF version of their media kit at BuzzFeed. Their website is super viral and a little details is enough for advertisers to know about it. 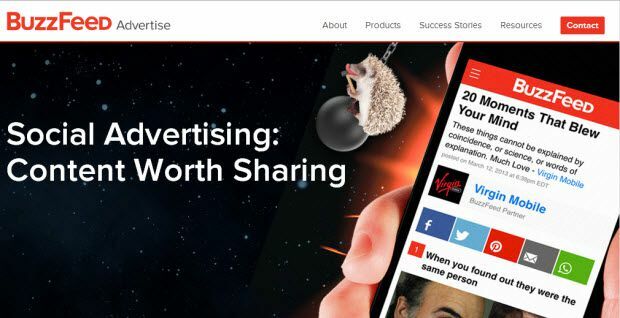 BuzzFeed has included only their key stats at their advertise page and a case study. You can view their media kit page Here. Mashable makes use of a clean and simple media kit page. They have included key stats of their Mobile, Desktop as well as Android app readers in their media kit. 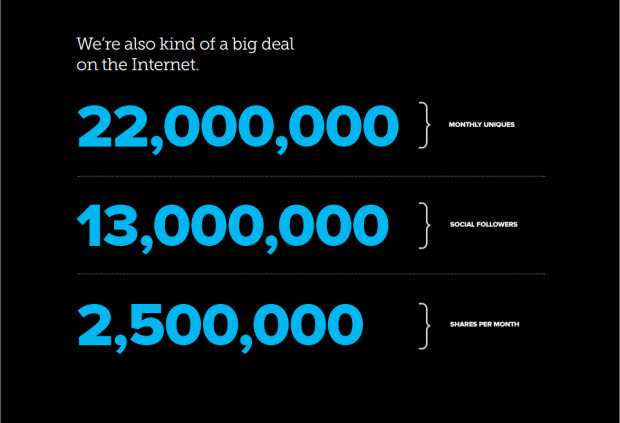 Mashable uses an intuitive media kit page for their display of stats. You can view their media kit Here. If you thought a media kit needs to be long and extensive, you are wrong! Here’s how theChive shows how to use a small and effective media kit. A six page media kit, with one page as their intro! Simple, concise and to the point media kit. INC.com makes use of an interactive media kit on a sub-domain. 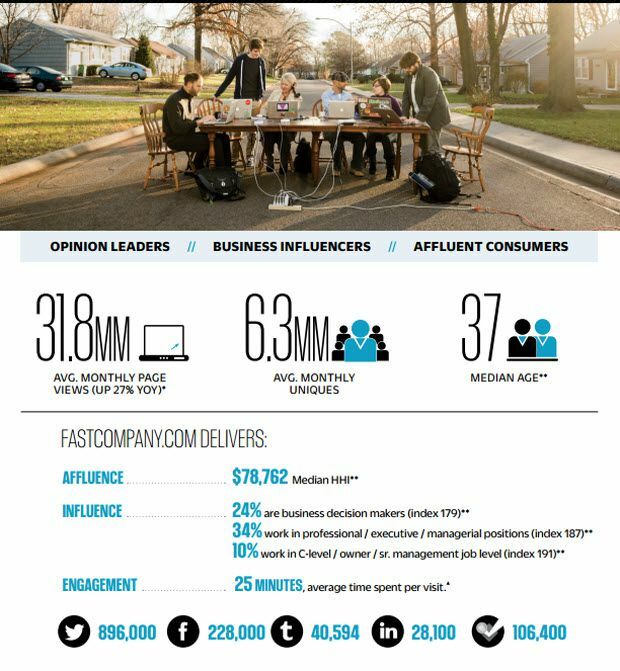 INC.com’s media kit provides all the marketing opportunities for advertisers as well as the entire statistics of their reader base. 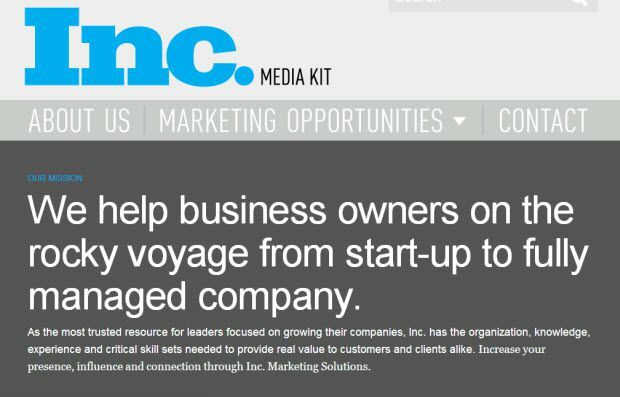 You can view the media kit of INC.com Here. 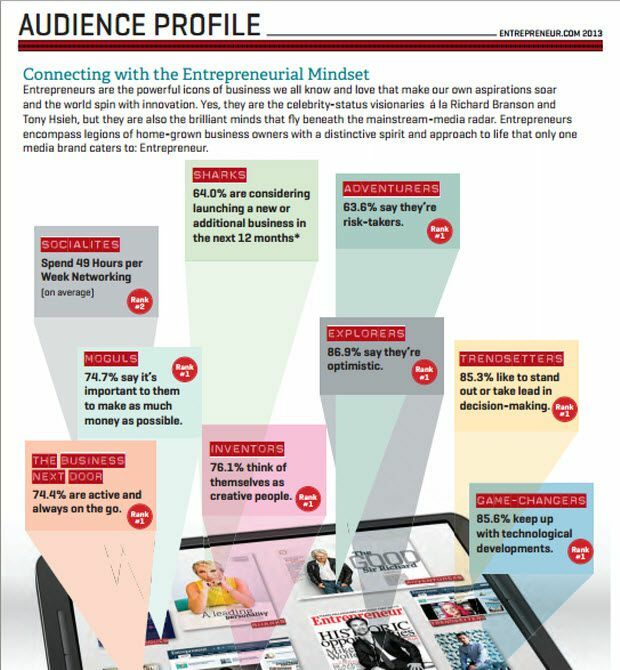 The media kit of Entrepreneur.com is super efficient and beautifully constructed. Only after a quick peek into their media kit, the advertiser would be quick to understand the reader demographics of Entrepreneur.com. The ‘Audience profiles’ part of this media kit is the one to watch. Rest of the media kit is a terrible designed one, but informative and suits the news media corporation. A lot can be improved on the design of their media kit, however. Comparison is good, sometimes. Men’s Health just does that in its media kit. It compares how it fares against competitive sites, so the advertiser could come to a quick conclusion about sponsorship. However, this is not a healthy concept for the online business to include comparisons in their media kit, but it sure is healthy for this health magazine! The media kit of break media reaches the point quickly and conveys their motto quickly and efficiently. They clearly point out that it is the go-to destination to target young male audience. It isn’t quite well for female audiences of all ages. This gives the advertisers a clear insight into the network. The media kit of DailyCandy includes advertisement opportunities for both their digital and Email version of their Fashion blog. 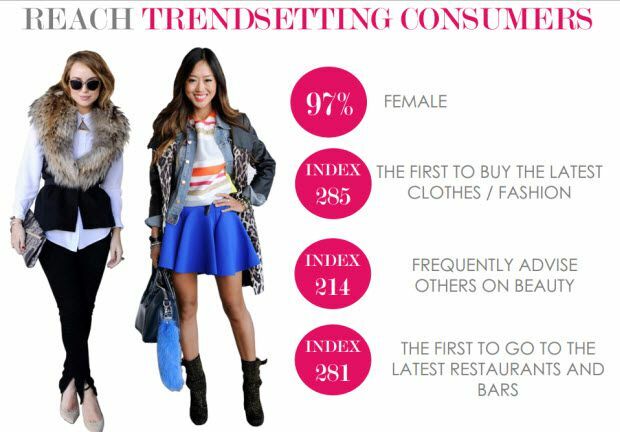 DailyCandy media kit includes a page of fact, seen above, about the involvement of their audience in fashion matters. 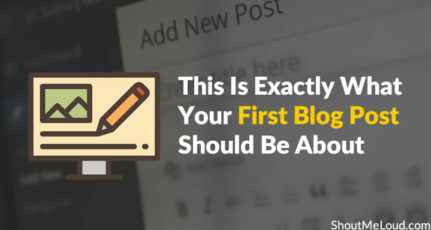 So, here we come to the end of the case study of the media kits of few top blogs for your inspiration. 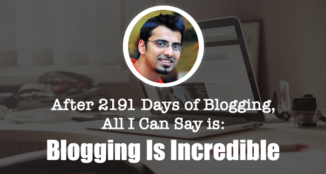 Does your Blog have its well deserved media kit? Shout out your thoughts and experiences with media kits below. Srikantha, I love these examples. Media kits have come a long way. I think I like the infographic type the best. I love Geralin’s example the most. I hadn’t thought of doing one until reading this – thanks for the ideas and how to. 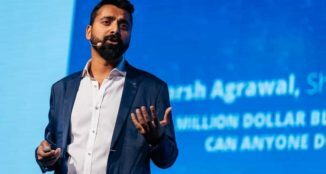 Thanks Srikanth AN for sharing this awesome post it was actually helpful and i realized I was actually missing a great deal of inspiration, productivity tools till now. Thanks a lot Srikath for sharing this useful article with us. These are some of the greatest motivation media tools and I have learned a lot from them. I like the Geralin thomas example too much. 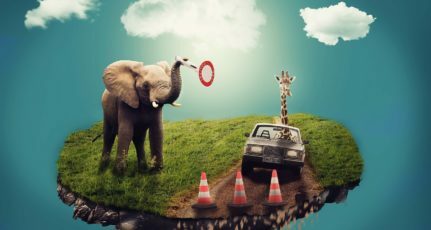 This is really a nice post for know about the market and for the poeple thining about becoming an entrepreneur in future. Nice article Srikanth, Keep it Up. That’s an excellent article and these media kits look impressive. I agree with other readers that for small companies/individual bloggers these models are probably too sophisticated, but they do give clear guidelines in terms of what advertisers are looking for. BuzzFeed, Inc, and Fast Company were BY FAR the best 3. I was disappointing with Mashable. Expected more.